Each year hundreds of innocent people are terrorized by law enforcement’s overuse of their SWAT teams to effectuate searches and arrest warrants. These potentially traumatizing incidents are rarely publicized unless things truly go awry. The public never hears about a SWAT team arresting the wrong person, or destroying a bystander’s property in a search, but those who experience this first hand will never forget. 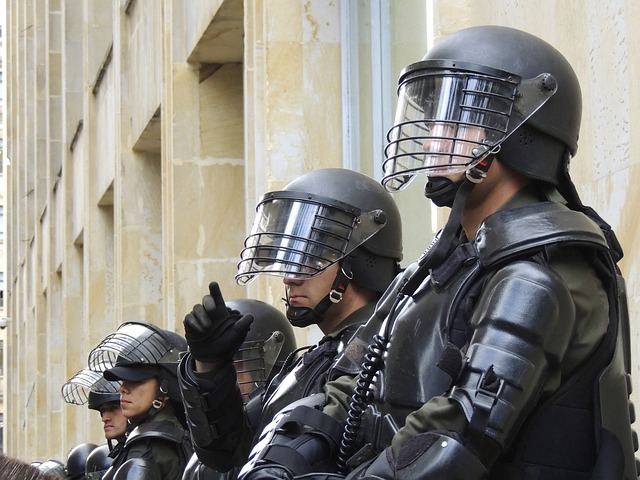 There is little or no legal recourse for those who have been unjustly damaged by a SWAT raid, as cops are typically immune if they are acting on a properly executed warrant. Even if the warrant turns out to be unlawful, the mere fact the cops acted on the reasonable belief that it was valid is enough to avoid liability. When law enforcement’s actions are so egregious as to warrant civil or criminal liability justice is often hard to achieve, as it usually comes down to a cop’s word against the claimant’s. And there are few lawyers willing to take on a case against the government with those odds. SWAT teams certainly have value as a law enforcement tool, and many of their raids are justified. The problem is that a police agency’s discretion in deploying their special weapons teams is completely unchecked and unregulated. For every violent offender who threatens the community that is safely apprehended or searched by a SWAT team there are probably two or three non-threatening offenders that could have just as easily been arrested or searched by a patrol officer or the local sheriff. There are countless cases here in Maryland where door busting SWAT raids using tear gas and automatic weapons are carried out to search or take down small time drug dealers and other non-violent offenders. These are the types of raids that have piqued the interest of lawmakers in Annapolis. The state house and senate have both proposed bills that if enacted would add a law to the public safety code regulating SWAT team deployment and reporting. The new law will require that a law enforcement agency only deploy a SWAT team if they believe there is a significant imminent threat to human life and that regular law enforcement officers would be insufficient to handle the job. And except in rare circumstances the agency must prepare a report supporting the use of SWAT before the team carries out their search or seizure. Another provision requires each law enforcement agency with a SWAT team to submit a report twice a year to the Governor’s Office of Crime Control and Prevention, which details each deployment. The reports must include the reasons for using SWAT, the outcome of the search or seizure, and other accounts of what happened. It certainly seems that the SWAT regulation will become law this year, as it’s hard to string together many logical arguments against it. Obviously the law enforcement agencies will resent the legislation for requiring more paperwork, and for the big brother aspect. But in all honesty these law enforcement agencies need a little transparency with their SWAT deployments, as too often it comes down to the teams simply wanting to play with their fancy but deadly toys. The law does not include specific penalties for agencies that do not comply with the reporting requirements. Rather it simply calls for the governor and the general assembly to get involved, which should be more than enough motivation. The Blog will continue to follow the progress of this future law, and perhaps other similar ones popping up throughout the country. We will post a follow up article if anything becomes newsworthy so stay tuned. Benjamin Herbst is a Maryland criminal defense attorney who handles all types of charges in state and federal court. Contact Benjamin for a free consultation anytime.